I recently became the new owner of a iPhone 4 after beating my old 3G phone to within inches of its life (not on purpose, just the normal wear and tear sort of life-beating). I had originally dropped my phone last week from my night table, and it left the display looking like it was super-saturated with mega-brightness. I fiddled with the brightness settings and smacked it around a bit, but all to no avail. I figured a broken phone was as good a reason as any to upgrade. Of course, in a bout of madness I decided to try one last thing before I gave it up as a lost cause, and opened my phone up where I found that the LCD connection ribbon had jostled loose: all it took to cure the phones problems was to re-seat the connector. Of course, by that time I was already more than halfway to resigning myself to an upgrade. It didn’t help things that my wife was also interested in getting a new phone. One of the main draws for me besides the snappier processor and new hardware, was the improved camera and ability to record 720p HD video. I had read in other places online, though, that there were problems with uploading the full resolution video to YouTube directly from the phone. To test what was going on, I have tried a few things and these are my results. After choosing to upload in HD, this starts what I believe to be a transcoding process where the video is shrunk in size in preparation for upload. After “Preparing Video…” the actual upload starts, and when finished I am prompted to go to YouTube or to “tell a friend”. This is where things get interesting. I’ve grabbed a screen cap of each of the videos at the same moment in time. I basically downloaded the .mp4 from YouTube for the two uploaded videos, and used MPlayer to output a screen capture at the same frame. Using these screenshots, I then crop and zoom into 300% size to investigate the results of a small sub-section of the image. 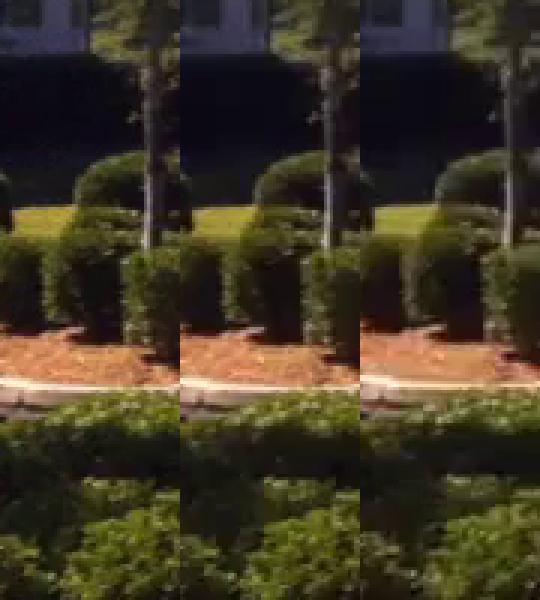 Original from camera (left), after upload from computer to YouTube (center), after direct upload from phone to YouTube (right). 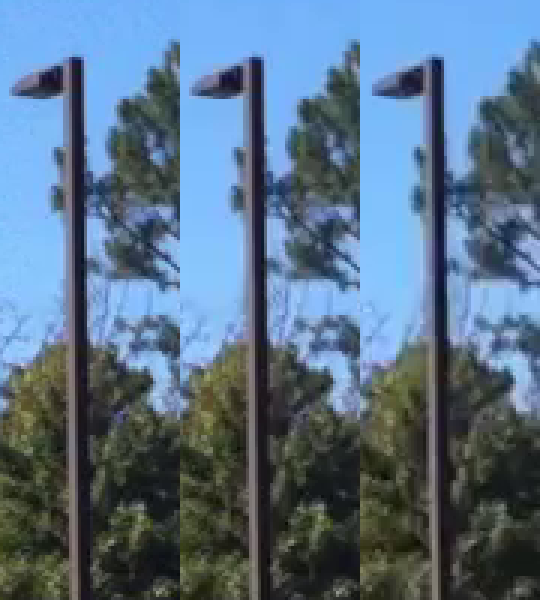 In this first crop of the light pole, some things become evident almost immediately. The colors and detail in the shadow areas of the image are devastated by the compression going on. The direct upload from my computer to YouTube at least manages to keep some of the details, but the direct upload from the phone smears all of the detail of the background foliage, especially around the lamppost. It also appears that the colors are reduced or muted in the direct upload compared to the other two methods. 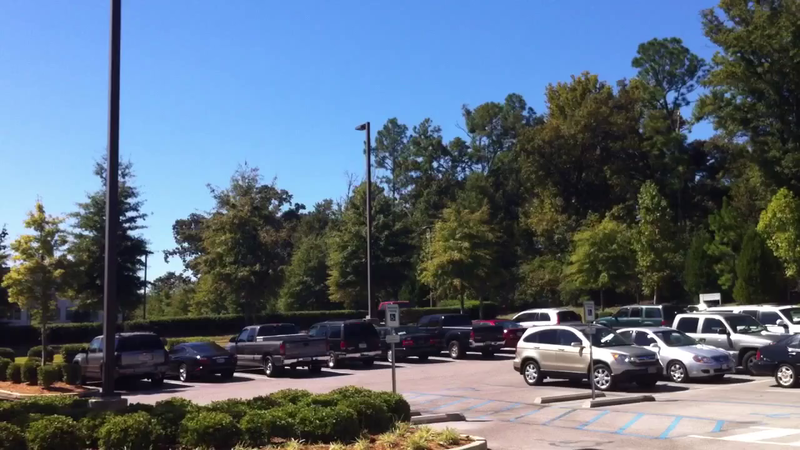 In the crop of the parking lot there are some other telling things going on. 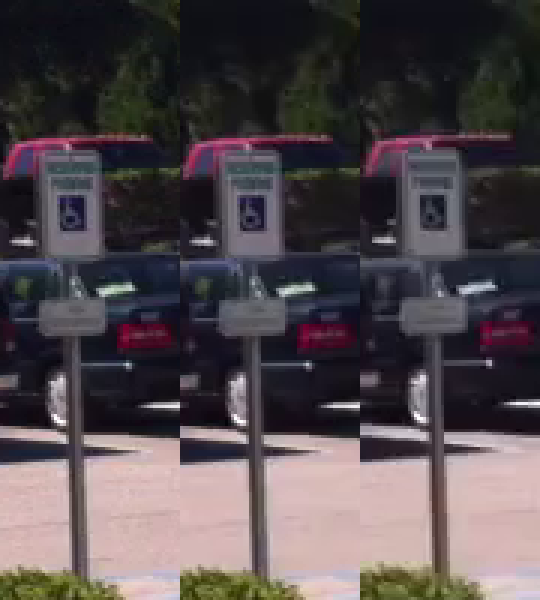 The first thing I notice is the desaturation of the colors in the handicap parking sign for the direct upload. The upload from computer manages to retain the colors, and a lot of the detail of the sign, but the direct upload sadly does not. Also notice the shadows in the tree in the upper left corner where for both versions YouTube manages to smear it all into a mess. In this final crop, the telling problems occur again in the shadows of the foliage, where it gets progressively worse from the original to a direct upload. Notice the loss of detail in the definition of the leaves, and especially in the mulch (brown) on the ground in the middle distance. From what I have seen I feel that what is happening is that the successive degradation of the video quality is due to having to transcode the video twice during a direct upload from the iPhone, as opposed to only transcoding once with an upload from my computer. As with any transcoding, the quality begins to suffer horribly after the first time. 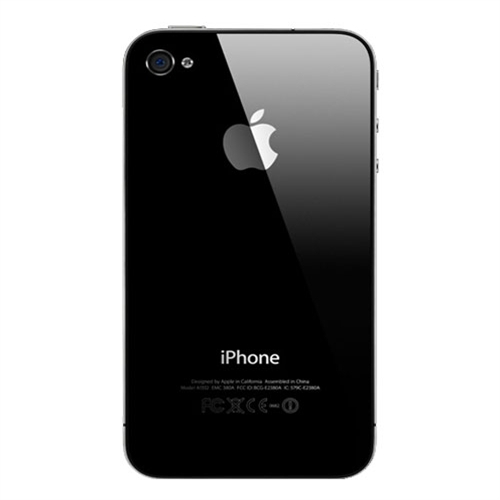 In this case, the color saturation and especially the shadow details are lost very quickly during the second transcoding as is the case with the direct upload from the iPhone. In a pinch I feel that a direct upload could do and be passable for some simple video. If it was something I wanted to keep a little quality on, and I could wait until I was at a computer, I would rather just upload directly from my computer and avoid the extra transcoding step that hurts the quality so badly.